People are living more of their lives online these days, and my family is not immune. For example Christina has been working on Alas: Joyeria de Epoca -- 20th Century Epoch Jewels, "Specializing in North American Vintage and Flights of Fancy. Rare Vintage and Antique Costume, Estate, and Silver Jewelry. Coins." She had been buying costume jewelry for her own use and found that she enjoyed it enough to start offering some items for resale. I particularly like the logo, which comes from a picture Christina took on our trip to Puerto Rico last fall. As long as I'm promoting relatives' web sites, my cousin Sara and her husband Marty operate Saramar Studios, where they feature stained glass, paintings, mosaic tables, jewelry and their own art. Check it out; they're really quite talented. About a month ago, I was in Laurel, and I decided to do a little waymarking. One of the sites I visited was Laurel Tavern Donuts, which falls into the category "Independent Doughnut Shops." 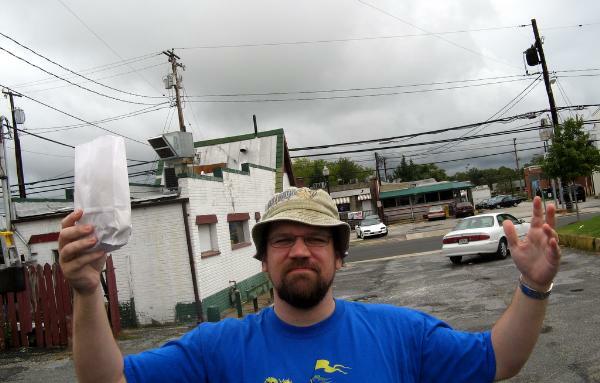 Here you can see me behind the store with my bounty of donut holes held aloft in triumph. Last week, I read a Washington Post blog item about Laurel Tavern Donuts' inclusion in a "Zippy the Pinhead" comic strip. I thought about posting an image of the comic strip to the waymark page, but I decided that it would be a potential copyright violation to do so. I figured, however, that "fair use" would allow me to clip out part of the strip for illustrative purposes. After posting the above clip, I looked at both the waymark page (linked above) and the Washington Post blog page (also linked above). If you look carefully, you notice something. The pictures of Laurel Tavern Donuts are...identical. Down to the reflection in the glass door. (I would post the image here, but the irony of doing so in a post about copyright violations would be overwhelming. I'll resume violating copyrights in a future post.) I e-mailed the creator of the photo to ask if the Post had gotten his permission. 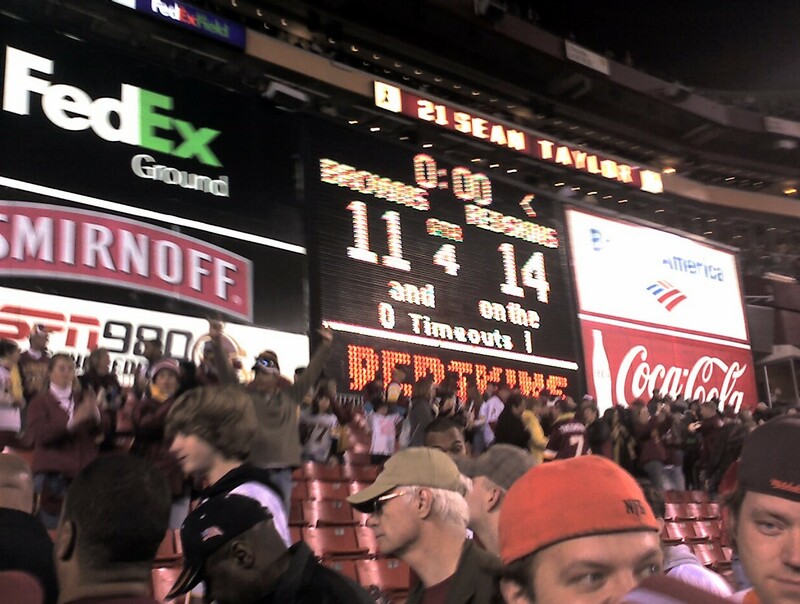 They hadn't. He's been trying to get in touch with someone at the Post to check on this. He hasn't heard back. I think in the loosey-goosey world of blogging, lifting the picture would probably be considered OK (if perhaps of questionable legality) if the Post had credited the picture. But taking the picture and reposting it without permission...the Post should do better than that. I've heard a lot of comment about Sarah Palin's $150,000 wardrobe. A lot of it has to do with how much money this is compared to what the average American makes. A lot of it is about how it's a waste of campaign money. I haven't heard any commentary that gets to what I think is the real point: authenticity. The GOP has been selling Sarah Palin as an authentic, down-to-earth hockey mom. Of course, a lot of people wonder if that's what we're looking for in a vice president. But the $150,000 wardrobe story shows that the GOP isn't even looking for that in a vice president. If party leaders had really thought, "You know who we need, someone really down-to-earth," they would have, at most, bought her the kind of stuff she was wearing already -- which I guarantee you was not Saks Fifth Avenue. Instead, they treated her like Eliza Doolittle. You see this authenticity problem with "Joe the Plumber". He's not named Joe, he's not a plumber, if he made $250,000 a year he wouldn't be a typical plumber, the business he's thinking about buying (or maybe he's not) doesn't even make that amount of money... Would it have killed them to have found an actual plumber to use as an example? Apparently. In this election, Democrats don't have a major authenticity problem. (Unlike with John Kerry or Al Gore.) They're not running a guy who's pretending to be Barry Obama from Chicago. His whole life story -- growing up in Hawaii (which Americans aren't sure is a real state) and Indonesia -- screams "exotic." And yet the Republicans are resorting to distorting it to make it seem even more "foreign". Why? Because Americans don't really dislike foreigners (see the governors of California and Michigan). Like Holden Caulfield, it's phonies that we can't stand. Another thought, as long as I'm discussing authenticity, Obama's background and things the media isn't quite getting right. The other day, I was watching the news. 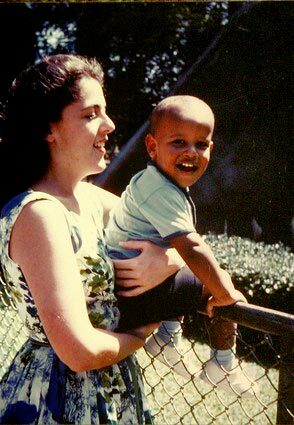 They were showing Obama ads that feature his mother and his grandparents. The commentators speculated that the ads were a way of making him seem whiter and "less threatening". Really? Americans find a picture of a white woman and her black child less threatening? Maybe. 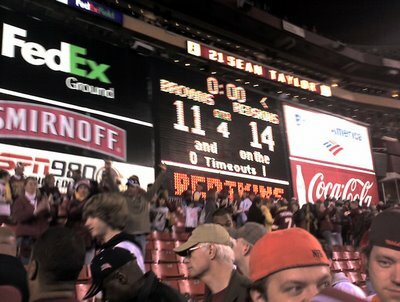 If so, we've come a long way since this picture was taken. God bless America. When I last posted about my Nebula novel reading two-and-a-half years ago, I had read 24 out of the 41 novels. As a reminder, the Nebula awards are awarded to science fiction authors annually by their fellow writers. I haven't been in the mood for much science fiction for the past couple of years, but lately I've gotten back into it. Since I read one book on my recent trip to France, I thought it was time to do an update. I probably read this in 2006. This book falls into an interesting class of science fiction books -- they take place in a setting where interstellar travel exists, but it rare. Therefore, the book takes on an almost fantasy-world character, as it explores a different "Earth" -- in this case, one where inhabitants have no gender. The protagonist is an offworlder, sent to invite the planet's inhabitants into a galactic federation. 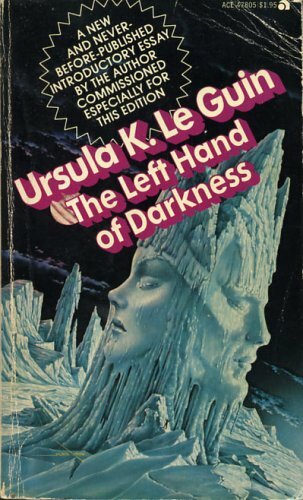 Le Guin used this setting to explore gender in an interesting way. I can't say I loved this book, but I found it to be interesting and very well-written. Another 2006 read. 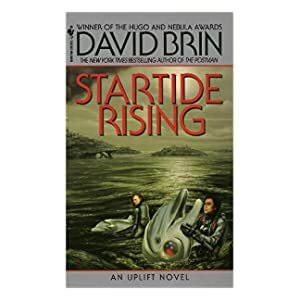 This one is the second set in Brin's "Uplift" universe, where humans have "uplifted" chimps, dolphins and other creatures to sentience. It's an interesting concept, but I found the parts that were told from the dolphin's point of view to be a bit tiring to read. Part of this story is about shape-shifting, immortal aliens who have been living among us. It's kind of interesting, but it really wasn't my cup of tea. It's not what I think of when I think "science fiction". Seeker is the book I read while in France. It's the third book in McDevitt's "Alex Benedict" series. The first book appeared in 1989 and was about Benedict unraveling a story about the galaxy's military history. He was doing it when he came across a puzzle his recently deceased uncle, an amateur archaeologist, was exploring. The next two books in the series have appeared in the past few years and are told from the point of view of Chase Kolpath, Benedict's assistant, and deal with his business as an antiquities dealer. The books shift from what I'd consider "military future history" to "mystery", as well as changing narrator. 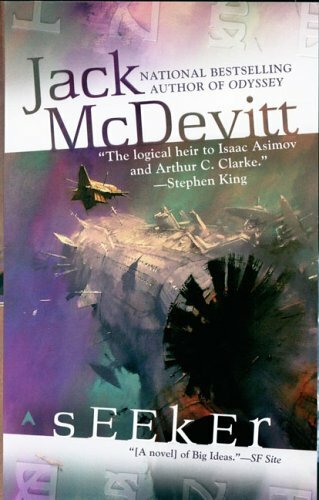 McDevitt's work remains very good, and the fact that the mysteries are about events of galactic importance (it's not as cheesy as my phrasing makes it sound) allows the exploration of interesting "big ideas" like immortality and the nature of man. The fourth book comes out next month, and I'm looking forward to reading that, as well as other, non-Benedict books by McDevitt. This book gives me a weird sense of pride for a number of reasons. One, I read it before it was nominated for a Nebula, so I didn't need that to know it was going to be a good book. Two, a Pulitzer-prize-winning author like Chabon decided to dabble in science fiction. 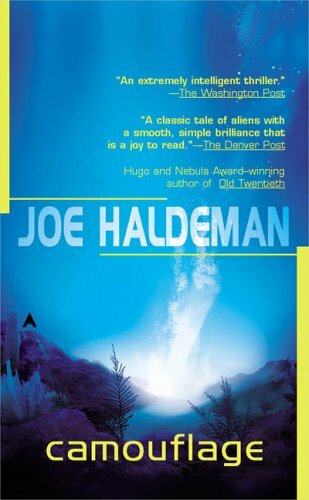 Three, my fellow science fiction aficionados recognized this as the year's best novel (it won both the Nebula and the Hugo) even though it was written by an "outsider". This book was really, really good. It takes place in an alternate history version of Alaska, where Jewish refugees were settled after World War II, instead of in Israel. But they were only allowed to stay for 50 years, and now they have to leave. Oh, yeah, and it's a murder mystery. And incredibly weird combination of ingredients, but Chabon not only makes it work, but elevates it to literature, not just "pulp fiction". Not only did this deserve the Nebula, it makes it clear that some of the other works on the list don't belong in the same category. So I go from having read 24 out of 41 to 29 out of 44. I actually picked up some of the other ones in this time period, but I didn't make it all the way through them. That's not a good sign, but I'll try again at some point. I am also going to take a look at the runners up for more ideas about good books to read. 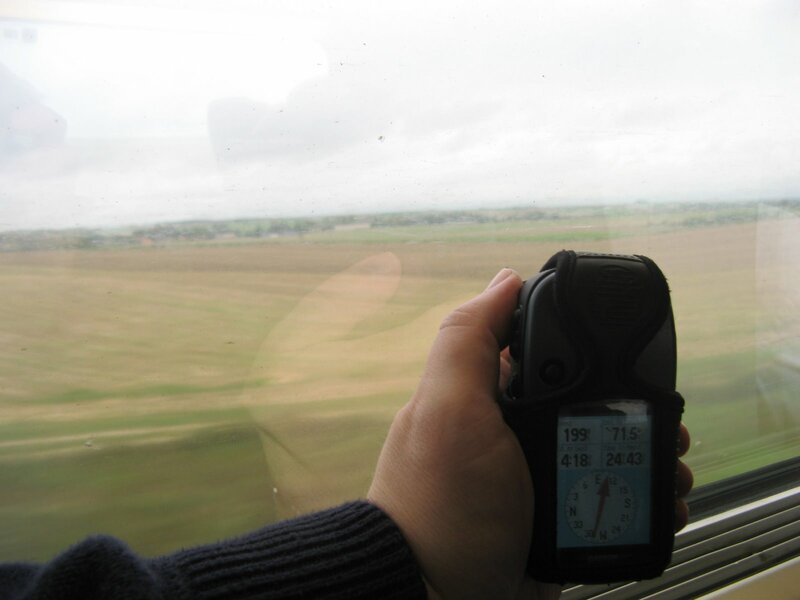 That's 199 mph, if you can't read the GPS receiver.